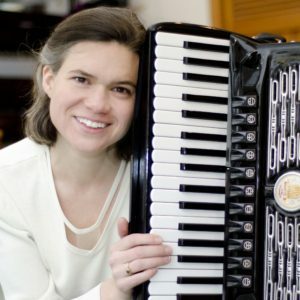 Jeanne Velonis, is a classical recording engineer and the newest member of Bachtopus. 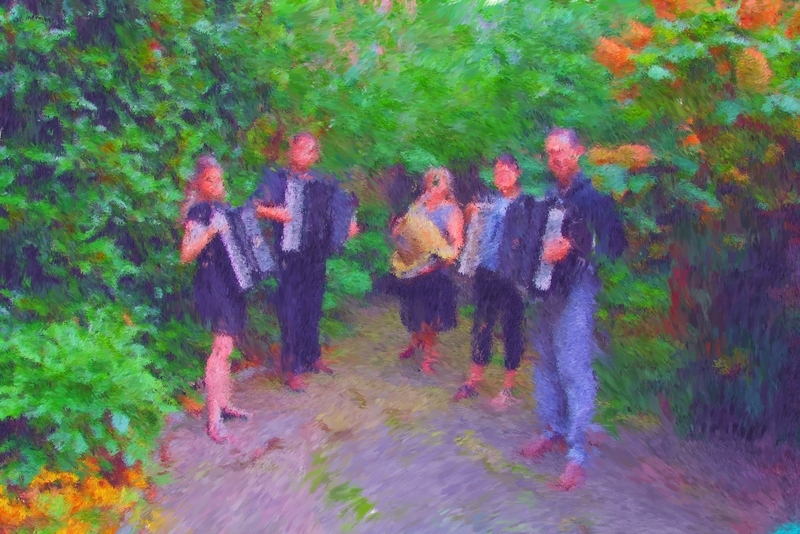 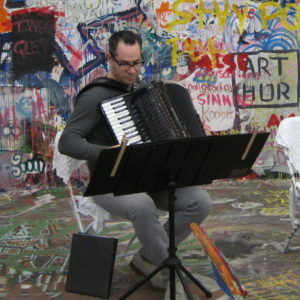 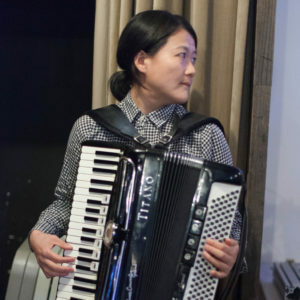 Initially self-taught, she has studied accordion with Leah Barkan and Mary Tokarski. 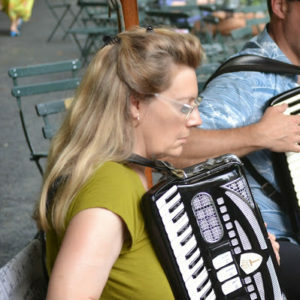 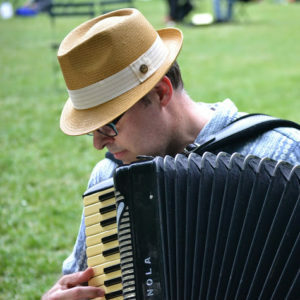 She lives with her husband, three children, and five accordions.